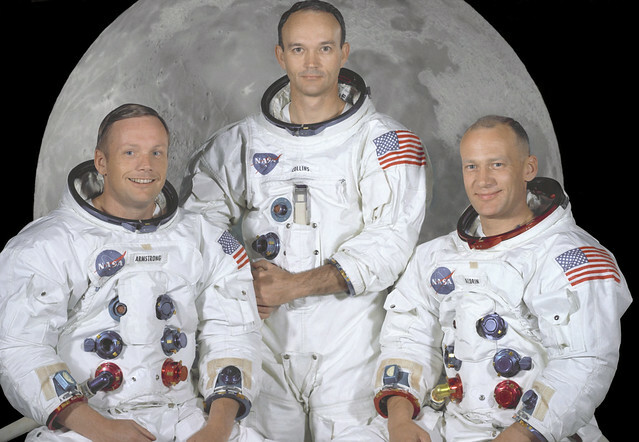 July 20th is the anniversary of the Apollo 11 space mission when the first humans walked on the moon. I still remember watching it as a boy on our black-and-white TV set in the living room. I thought I’d put together a short “The Best…” list highlighting a few resources people might find useful — if you happen to be teaching summer school. NASA has one central site. The Smithsonian has a neat multimedia interactive timeline on the mission. We Choose The Moon has been set-up by the John F. Kennedy Memorial Library & Museum. Starting on July 16th, you can “experience a real-time audio and visual re-creation of the historic mission” on the website. How Stuff Works also has a number of short videos on the mission. Remembering Apollo 11 is a collection of photos from the Boston Globe’s Big Picture photo blog. Here’s a quote from The New York Times: “On Thursday, 40 years to the day after the Apollo 11 spacecraft began its journey to the moon, NASA released what it called, “newly restored video from the July 20, 1969, live television broadcast of the Apollo 11 moonwalk.” You can view it here. ESOL Courses has a very nice reading, along with comprehension questions, on the lunar landing. Celebrating Apollo 11’s Return To Earth is a slideshow from TIME Magazine. A narrated slideshow titled Mission To The Moon. The Incredible Things NASA Did to Train Apollo Astronauts is a photo gallery from Wired. Here’s a thank you letter from Neil Armstrong to the makers of his space suit. 45 Years Ago We Landed Men on the Moon is a photo gallery from The Atlantic. Feel free to share additional suggestions. I was looking for more readings than videos. Helpful anyway!